Peter Thomson is well known throughout Whitby as a staunch lifeboat supporter, initially as a crew member before his position as a coxswain of the Whitby Lifeboat. Like his father he has taken on the role of curator for the lifeboat museum. Peter has spent considerable time in support of the RNLI, a career for which he has been suitably rewarded. He worked faithfully well in his role as the press secretary for the lifeboat station for a number of years. When the William Riley was found in a derelict condition he was instrumental in bringing together people interested in seeing the boat returned to Whitby. I was happy to be invited to the inaugural meeting of the Whitby Historic Lifeboat Trust. 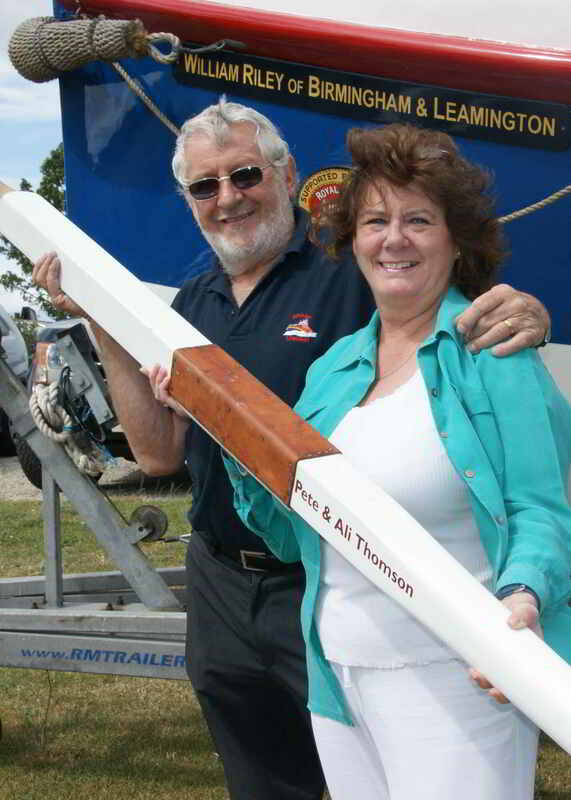 It was only natural for Peter and his wife Alison to be part of the sponsor an oar scheme.